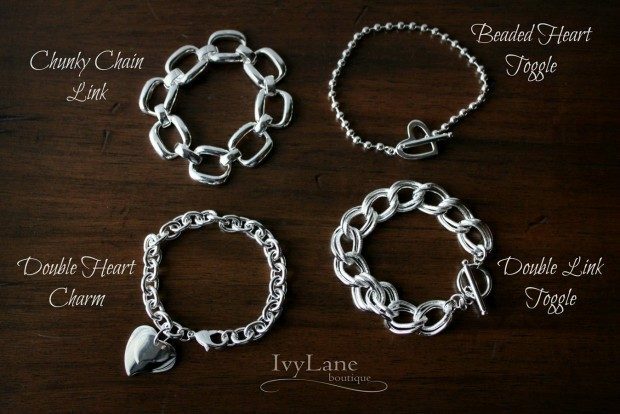 925 Sterling Silver Plated Bracelets - 13 Styles Just $9.99! You are here: Home / Great Deals / 925 Sterling Silver Plated Bracelets- 13 Styles Just $9.99! 925 Sterling Silver Plated Bracelets- 13 Styles Just $9.99! Order one of these 925 Sterling Silver Plated Bracelets in 13 Styles for Just $9.99! Our plated 925 Sterling Silver Bracelets are truly beautiful! Not only are they stylish, they are great quality and a nice heavy weight. They are an adorable addition to any outfit! Wear them one at a time, stacked together, or even paired with a watch or other bracelets. They will be super cute however you choose to wear them! !